Unfortunately, Ethiopia is one of the top countries in the world where gender-based violence is prevalent. Women are raped, abducted, battered and sexually harassed all around the country, this is one of the incidents that transcends setting. Whether in the rural area and or the urban setting, women are harassed in one form or another daily. 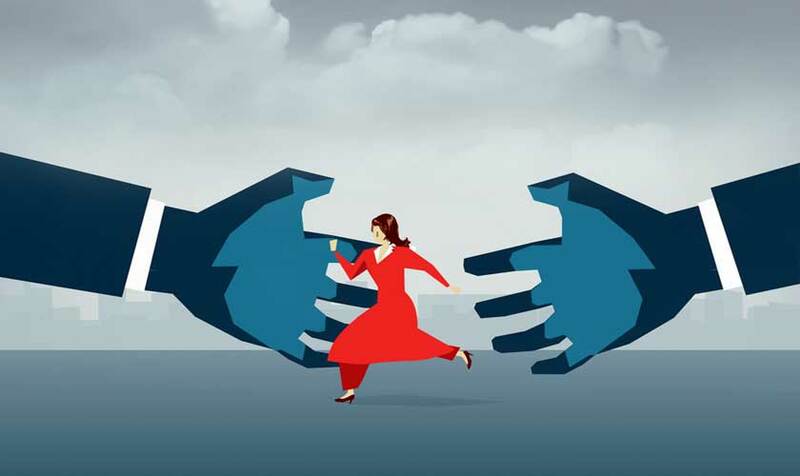 What makes matters worse is the fact that most women do not report sexual harassment either in fear of shame or choosing to make light of the matter (when it comes to minor offences, such as verbal harassment). In a study conducted around the Gulele area only 7% of women reported. The workplace is no exception. Sexual harassment in the workplace can be categorized in two forms, reciprocal harassment and creation of a hostile work environment. The earlier, as the name suggests is when a person in power demands a subordinate tolerates sexual harassment as a condition for getting a position and/or keeping a job, promotion and/or raises. It is enough for this to happen once to be classified as sexual harassment. The other, is when a co-worker/supervisor pushes unwelcomed pervasive/sexual actions. These could range from a gentle caress to groping. The situation is quite tricky for women as culturally, the blame is on the woman. whether it is on the way the woman is dressed or how she behaves herself, somehow, she attracted the attention and therefore it’s her fault. This causes for women to underreport their abuse or not report it at all. However, it is possible to stop actions like these by providing sensitivity training to all staff members on the issue. Creating awareness on the issue helps make the workplace experience better for both genders. Should instances happens, it is crucial for companies to put in place and enforce laws that protect women from these situation and even more crucial, women who have had experience should come forth with their stories and actually pursue the perpetrators. Otherwise, when acts like these are concealed it can be seen as an encouragement from the victim, increasing the likelihood of it being repeated.